All part 'P' test certificates and 17th Edition Certs. Membership numbers to trade organisations i.e. GasSafe and Federation of Master Builders. 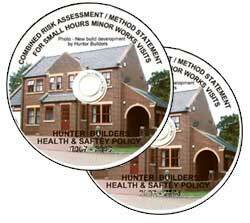 We also have a supply of CDs for project managers and health & safety executives. 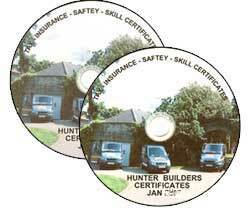 The disc contains our H&S Policy, along with a short method statement to cover most short time factory works. Larger works would receive a bespoke version designed for that particular project.